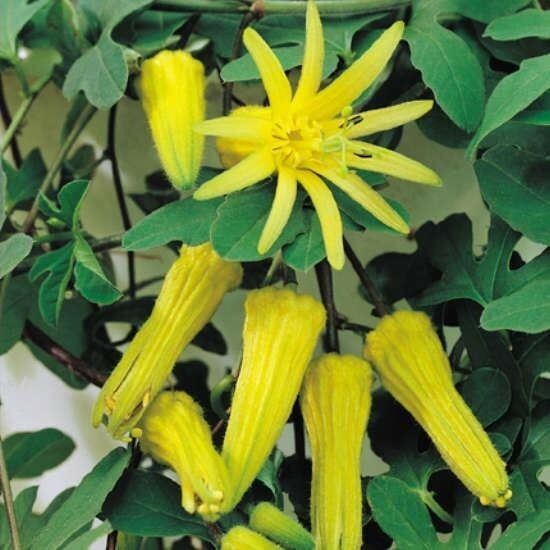 Small vine with starry shaped lemon yellow flowers and felted leaves. All passion flowers make great plants for the conservatory. Larger plants supplied in 3-4 litre containers, in bud/starting to flower.